On Saturday, May 18th, 2013, Frank Cairo, Founder and Visionary of MC College Group, was awarded with the Queen Elizabeth II Diamond Jubilee Medal. It was presented by Cheryl Harrison, VP of Operations, at the Edmonton spring graduation at the Edmonton Shaw Conference Centre. This medal was created to commemorate the 60th anniversary of Her Majesty Queen Elizabeth the second’s accession to the Throne as Queen of Canada. At the same time, it serves to honour significant contributions and achievements by Canadians. Throughout the year, some 60,000 deserving Canadians will be recognized. In a country of almost 35 million people, being included amongst those 60,000 individuals is a momentous achievement. Individuals recognized for this award have been chosen because of their significant contribution to a particular province, territory, region or community within Canada. Frank Cairo dedicated his life to improving education for the salon and spa industry. It was his mission to elevate our industry one graduate at a time and to support stylists and estheticians in their pursuit of successful rewarding careers. His goal to give back to an industry that had given him so much. Frank Cairo was a successful salon owner here in Edmonton. He challenged the stylists working for him to continually improve their skills by entering competitions. He created his own artistic team of specialists, Cairo Equipe, who travelled North America providing education at beauty shows. In the early seventies, he made the decision to enter the world of education. He sold his salons and bought what was then Marvel Beauty School. It was then that he made it his goal to deliver the best education in Canada and he did so by revolutionizing the method in which that education was delivered. He created a system that combined classroom instruction with practical application where skills were developed in a progressive fashion. He was the first in Canada to adopt the Pivot Point education system developed by his friend and colleague Mr. Leo Passage. He offered advanced training in his schools by industry icons like Dwight Miller and Horst Rechelbacher. He invested in the physical transformation of his schools to look like real life salons and spas. He expanded the education provided from being exclusively skills based to including the necessary business training so that graduates would achieve financial success. He also worked tirelessly to improve the image and quality of all private post secondary institutions. He was integral in the creation of the Alberta Association of Career Colleges. He lobbied government so that students in hairstyling and esthetics programs could access the Canada Student Loan program. He had the first school in Alberta to receive accreditation from NACCAS, the National Accrediting Commission of Career Arts and Sciences. 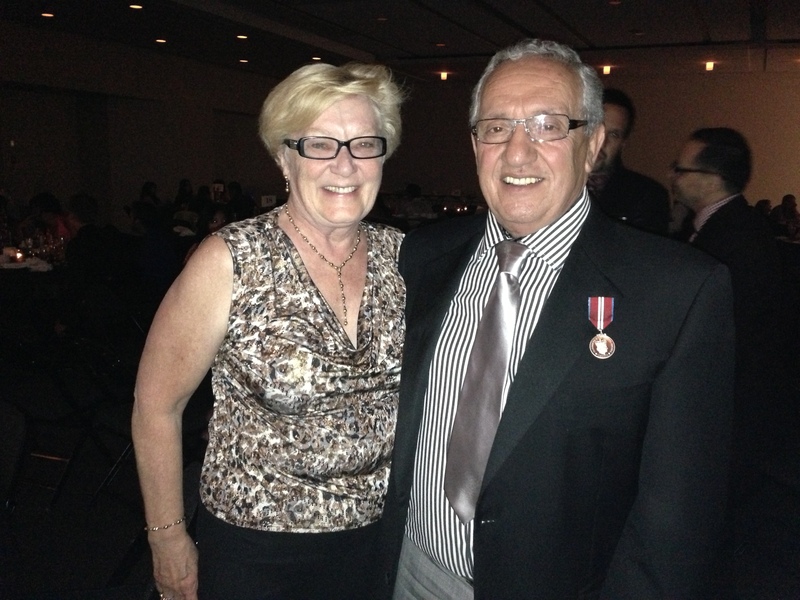 Congratulations Mr. Frank Cairo on your Diamond Jubilee Medal!